What’s the one thing that every single person touches every single day, without giving it a moment’s thought? It’s time designers gave greater consideration to door handles and furniture when specifying on projects. Everyone knows what door handles are, but what about door furniture? Simply put, it’s a catch-all expression referring to any fixtures and fittings that can be attached to doors and other portals. This covers not just handles and knobs, but also locks, knockers entry pulls, hinges and door closers. Also referred to as door hardware in North America, it includes “any items that are attached to a door or drawer to enhance its functionality or appearance” (Wikipedia). In Australia though, the term is generally understood to refer to lever handles of the type seen on most internal doors, as opposed to pull handles, which are the long fittings that would normally be seen on the front of an office building or other commercial space. Door furniture has long been an area where fashion and functionality hold sway. As long as the fixture or fitting does the job it was designed for – opens the door, alerts residents that there is someone wishing to gain entry – then style and appearance of such furniture has traditionally come down to the fashion and popular styles of the day. When choosing or specifying the pull handles and levers for new builds, aesthetics are certainly a prime consideration. There are fittings more suitable for residential, commercial, retail or industrial premises. You wouldn’t specify the same fittings in an office fitout that you would in the renovation of a Heritage-listed home, for example. And in residential alone, the style of the premises will have a significant influence on the type of door furniture that will be appropriate. Apart from aesthetics and function, what other considerations should be taken into account when specifying door furniture? Durability is certainly one. As is security – we live in challenging times, and with home invasions and other criminal breaches frequently in the news, it has become increasingly vital that hinges, locks and handles are robust and able to withstand significant wear and tear or unauthorised attempts at entry. 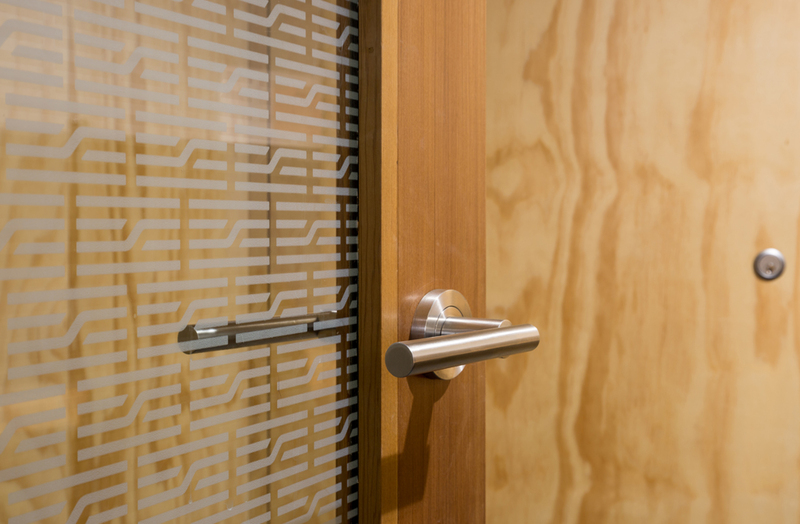 But while architects, interior designers and other specifiers may be used to taking these various styles, elements and applications into consideration when choosing door furniture, today they are also looking ahead. Rather than solely specifying products that are appropriate for current fashions, forward-thinking designers are seeking products that adhere to GECA (Good Environmental Choice Australia) guidelines. GECA sets the standard for environmental performance across the life cycle of a product. These robust standards and the independent certification process helps manufacturers take action to improve the environmental and social impacts of their products and be one of the leaders in their industry. The GECA standard covers environmental, health and social impacts throughout the entire life of a product, from the processes used for raw material extraction, through to the final disposal of the product and any packaging at its end of life stage. In addition to having a low environmental impact, products must not be harmful to human health, and manufacturers must employ ethical employment and supply chain practices. All lever handles comply with a four-hour fire rating. In the current climate, this could be the most important factor of all. In a nutshell, any project can maximise its Green Star rating by using products that have been GECA certified. In Australia, there is only one company with both GECA and BSI (British Standards Institution) accreditation, and that is dormakaba and its Madinoz range of architectural door hardware. All products are made from either Premium 316 marine-grade stainless steel, to ensure long life, or are die-cast. Either way, they have the same Green Star rating. This also covers recyclability – meaning many recycled materials are used during manufacture and the company stands by its stewardship status and takes back the products at their end of life for further recycling. Added to this, Madinoz products have been cycle tested to 500,000 cycles and all comply with AS1428, which means they are rated for use by people with a disability, plus they can be customised to individual requirements. There is one other area that tragic recent events have brought sharply into focus, and that is fire safety. The fire in the Lacrosse building in Melbourne’s Docklands, followed by the catastrophic inferno at Grenfell Tower in London have raised many questions about the safety and compliance of the products used in the buildings. External combustible cladding has come under the microscope in both of these events, as a possible reason that both of these fires spread so rapidly, leading to the appalling loss of life in London. However, it would be a mistake to consider only one aspect of the specified material. Scott Williams is the chief executive officer of the FPAA (Fire Protection Association Australia) and he warns that to focus on one product when buildings are full of thousands of products, from the carpets under our feet to the ceiling tiles above us, is ill-advised. All of these products should be compliant and adhere to the strictest building codes. dormakaba’s Madinoz products are made to a commercial standard, whether targeted at the commercial or residential markets. This means that all lever handles comply with a four-hour fire rating. In the current climate, this could be the most important factor of all. dormakaba is an AR Adviser. Read about the history of revolving doors here.